Do you have an interest in reducing your impact on nature? Come along to find out how you can achieve this using countless different ways of recycling your own textile waste and have a positive impact on nature. You will learn how to prepare your pieces in the studio with the help of our designers and passionate makers. We will teach you design thinking, sewing, and creation. How will this happen? 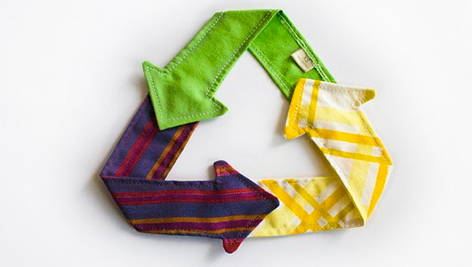 You will bring your textile waste and we will turn them into new products that you can use forward and therefore give a longer life cycle for the textiles. Some examples of products may include; reusable food bags, pants, doorstep, different styles of bags, handwarmers, a cosmetic brush case, table mats, dog apparel and much more. We will also follow your needs and find new designs together. In order to keep the class focused on everybody’s personal needs, we only have 5 places. No previous knowledge is required, we’re here to give it to you!